The ST7001A Supertub is a family-sized tub which includes a stylish goose neck tap and double drawers of handy storage space. 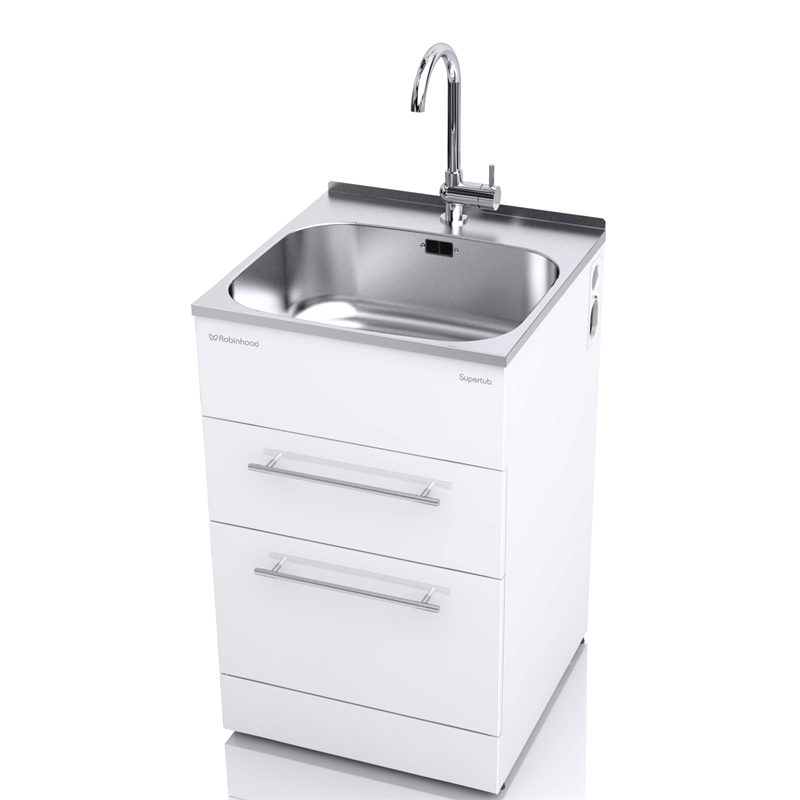 The ST7001A has a clean flat surface area at the rear of the bowl, and has a lip designed to be either covered with a Supertub splashback, (an optional extra) or be tiled over. Not only will your Supertub look like an integrated part of your laundry, but more importantly, water splashes will naturally drain into the bowl. It also makes it simple to clean by just wiping down with a damp cloth.